The Murgon Betta store was established in 1976 and is currently owned and operated by Shane and Melissa Sippel who have been locals in the community since 1971. 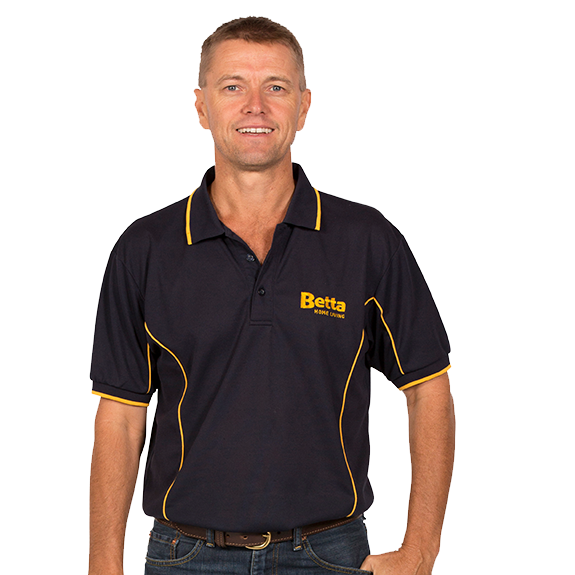 At Betta’s Murgon store, our expert staff are always ready to assist you with selecting your next white goods or home appliance purchase. Our Murgon store has a wide selection of products from all the leading brands for you to choose from. Fridges and freezers, kitchen and cooking appliances as well as washers and dryers – we have it all. Employing seven local staff members, the Murgon store supports nearly every community organisation, sports club, and society within the local area. Shane and Melissa are members of the Murgon Cricket Club and enjoy supporting all Queensland sporting teams, including the Brisbane Broncos, the Brisbane Heat, and the Brisbane Roar.